Several years ago, I combined some of my favorite flavors to create a recipe fondly known as “Holiday Meatballs.” I made them for a holiday potluck and have brought them for every Thanksgiving and Christmas gathering since. In fact, I was once told if I didn’t bring them that I shouldn’t come to the party! I think they were just teasing but I haven’t taken my chances. These Jalapeno Cranberry Glazed Holiday Meatballs are the perfect addition to dinner or a tasty appetizer to start any gathering. Place the raw sugar, water, orange juice, and orange zest into a large pot and bring to a boil. 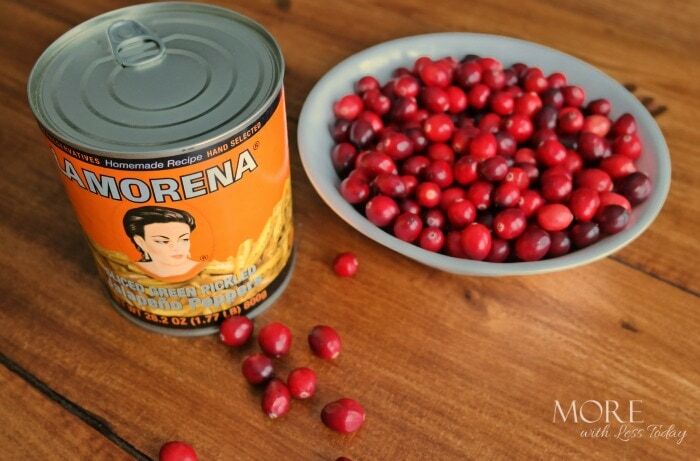 Stir in the cranberries and 1/4 cup of La Morena Jalapeno Peppers. Return the mixture to a boil, reduce to a low boil and cook for approximately 10 minutes. While the berries cook stir together the tomato paste, brown sugar, water, and seasoning in a sauce pan over medium heat. After the berries have finished cooking strain them and reserve the juice. The pieces of berry, seeds, orange zest, and jalapenos should be discarded. 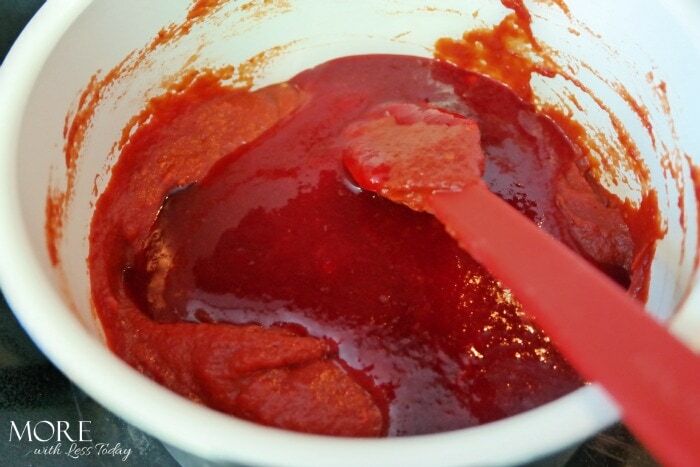 Add the cranberry juice to the tomato paste mixture and stir to combine. 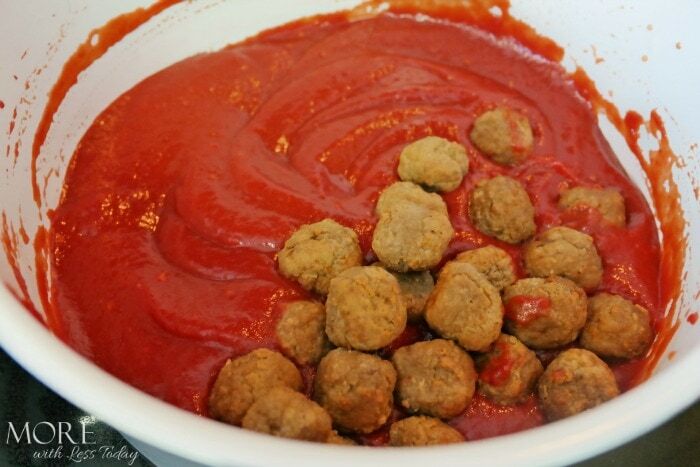 Once the sauce is well combined add the precooked meatballs. Server warm as part of a holiday meal or transfer to a slow cooker and keep warm for a holiday snack or appetizer. 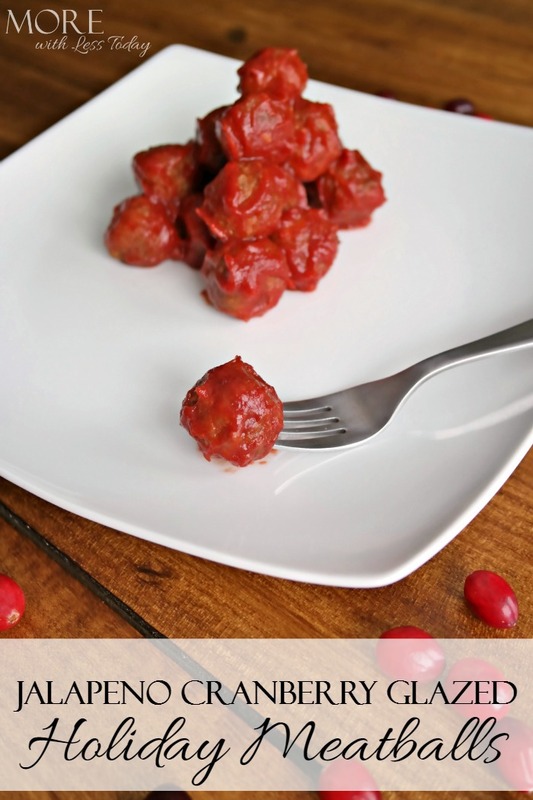 The sweet spicy sauce is the perfect addition to meatballs for the holidays. La Moreno products are my “go-to” source for authentic Mexican flavors. I highly recommend them for their quality and value. If you are in Southern California, you can find them at Cardenas Markets. 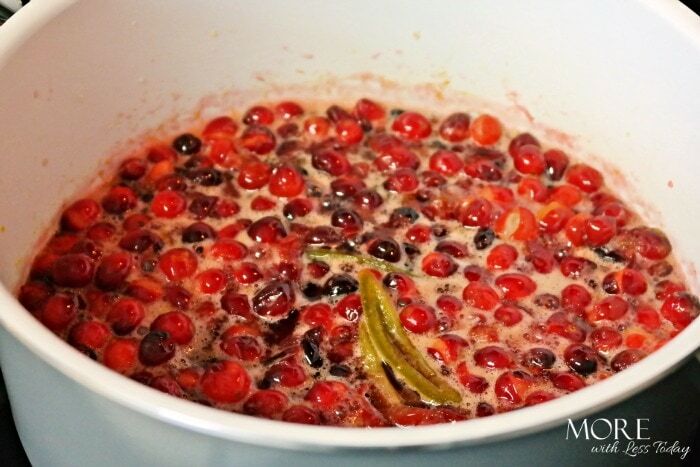 What a unique combination with the jalapeno and cranberry ingredients. It’s too perfect to make when we have out of town guests visiting us here in Texas. Those sound delicious. I love that spicy kick with the sweet. Yum. I love the mixture of the spicy and the sweet. I am sure these have a nice touch of heat. 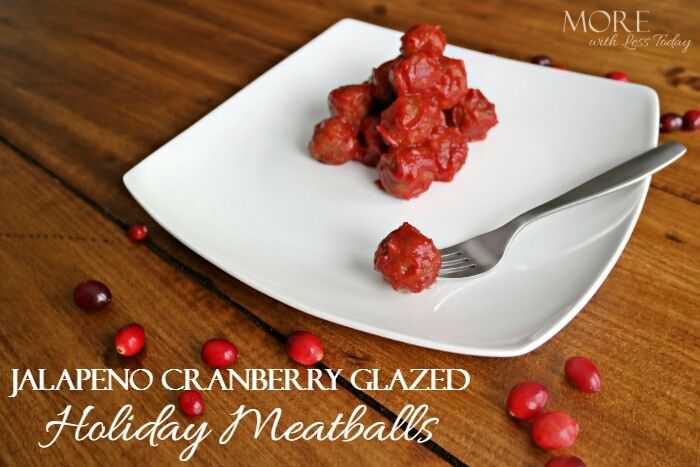 I would love to make them for my holiday party I am sure they are amazing! What an interesting flavor combination. I have a friend that enjoys spicy things, I bet she’d be up for checking these out.